A new investigation conducted by University of Texas researchers reveals compelling evidence that the meteoric rise of Bitcoin and other cryptocurrencies in late 2017 is linked to price manipulation executed by individuals using Tether to create artificial market demand. The study, entitled “Is Bitcoin Really Un-Tethered?,” was composed by University of Texas professor of Finance John Griffin and Ph.D. candidate Amin Shams, and uses algorithms to analyze blockchain data related to price spikes. Griffin, who has performed a range of forensic financial study, highlights a number of market patterns that indicate Tether was used to inflate demand for Bitcoin at critical points. John Griffin and co-author Amin Shams correlate the timing of Tether transactions and Bitcoin price movements in the paper, identifying patterns that demonstrate less than 1% of hours in which large-scale Tether purchases occur are associated with 50% of the market movements that resulted in the rapid rise in value of Bitcoin, and 64% of the positive action expressed by other cryptocurrencies. 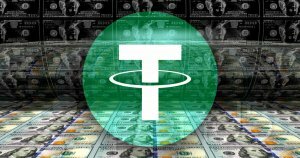 Tether has recently come under fire from the cryptocurrency community for failing to execute an audit while continuing to print tokens in spite of a CTFC subpoena regarding Tether reserves. The evidence of market manipulation presented within the study implies that after Bitfinex cut Tether supplies, manipulation patterns ended. Bitfinex and Tether both share the same CEO — Jan Ludovicus van der Velde — and the Tether projects lists Bitfinex as a primary integrated exchange.